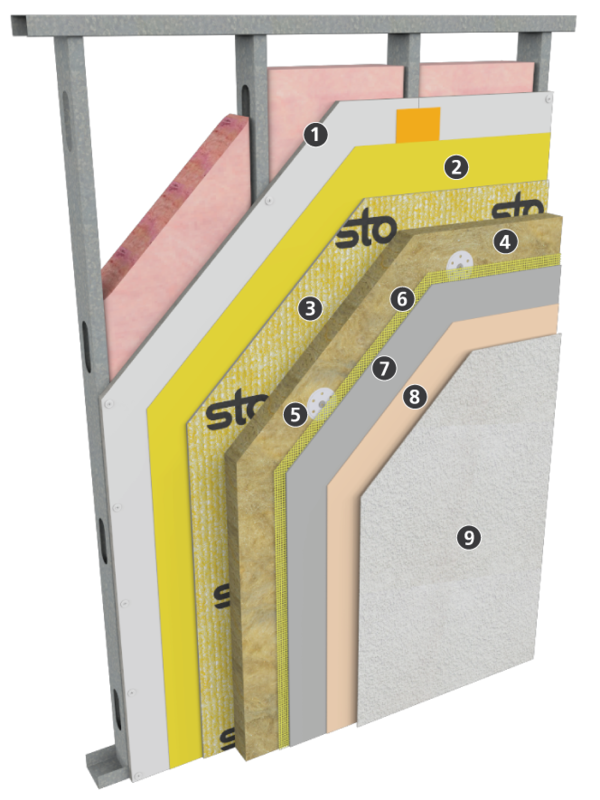 StoTherm ci Mineral is a decorative and protective exterior wall cladding that combines superior air and weather tightness with excellent thermal performance and fire resistance. 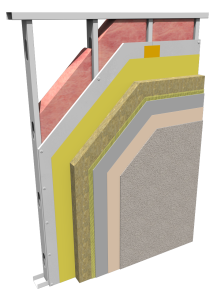 It incorporates continuous noncombustible exterior insulation and a continuous air and moisture barrier with Sto’s high performance finishes in a fire-resistive wall cladding assembly. StoTherm ci Mineral can be used in residential or commercial wall construction where energy efficiency, superior aesthetics, and air and moisture control are essential in the climatic extremes of Canada.